Yay baseball! Opening Day is here! What better way to celebrate the start of a new baseball season than by looking at some great movie posters. 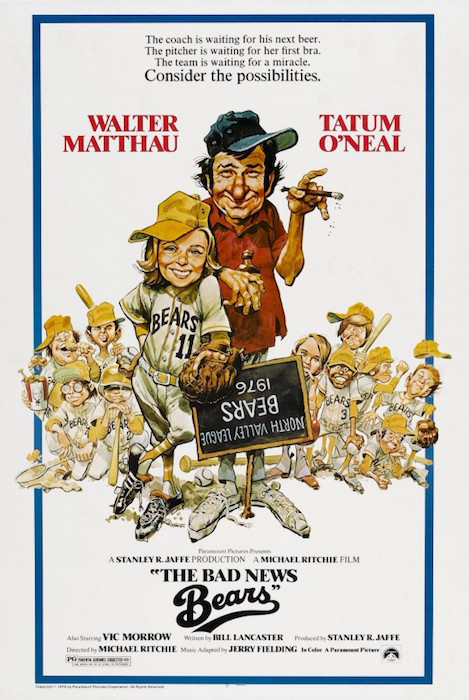 First up is the one-sheet for the original "Bad News Bear" from 1976. Illustrator Jack Davis created a design with exaggerated caricatures of the actors, reminiscent of a MAD magazine cover, perfectly playing up the irreverent comic theme of the movie. 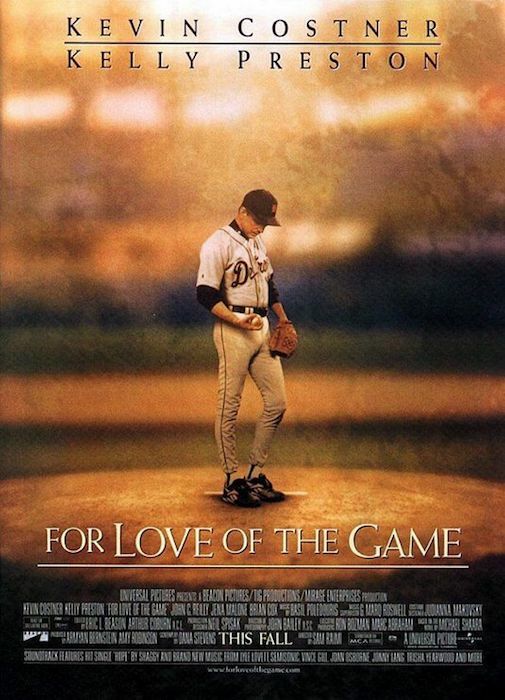 Next up is the one-sheet for "For Love of the Game" from 1999. The muted colors and out of focus background add a sense of nostalgia...like looking at an old baseball card. Last up is the one-sheet for "42" from 2013. This design has got so much raw energy, movement and passion, you can actually feel Chadwick Boseman's Jackie Robinson sliding out of the poster.